Post subject: Re: New system is here: Intel Optane 905p inside! cpm = Characters Per Minute. Wow!! I guess that's a term used outside of the USA. I learned to type not only briefly in high school, but also learned in a business college before I attended a regular college. I used to type 69 Words Per Minute (WPM). I guess going by cpm, back when I was my fastest, I would have been typing around 345 cpm. EDIT: Oh wow! I can't believe it. I just searched and found out that I hit the cpm exactly! I properly surmised the correct amount of characters used to translate into WPM. I surmised that 5 characters per word is the amount used when taking a typing test. What does that mean? I assume that isn't a typo because the letter "c" is no where near the letter "w". Ok, the new black Noctua Chromax fans to replace the fugly colored ones arrived today. Looks really nice, especially with the white accent. Photos don't do it justice though. Jorge, that is absolutely stunning! But you're not fooling me! 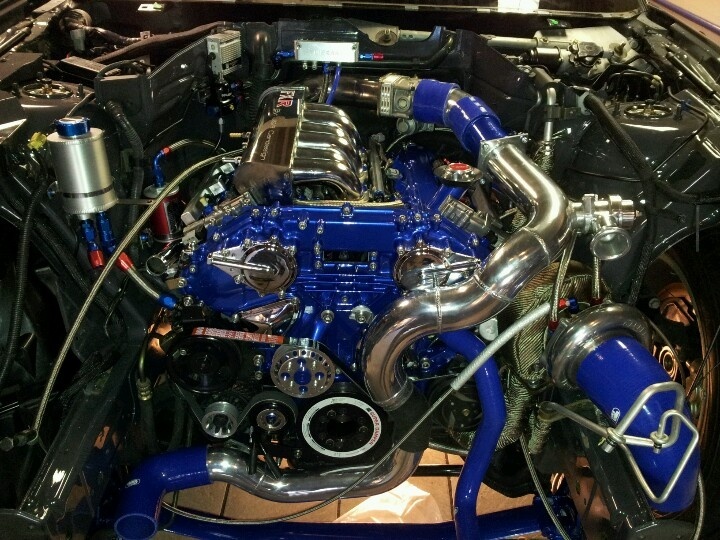 Using an awesome looking car engine isn't fair to anyone that wants to compete against you in a PC competition! Now let's see...I'll have to figure out what car I want to use to put that in that is worthy of such an awesome work of art. Yeah, definitely looks better and better matched Jorge. Guess you're a 'Happy Bunny' now? The whole thing looks more like the inside of the USS Enterprise's warp engine, I'd say.... LOL! Oh, and I got my characters and words mixed up and converted wrong - meant ~280cpm/~56wpm .... despite arthritis in one hand since I was about 27 and now both. My fault for not keeping up-to-date on AIO development before ordering this system. Of course, the biggest advantage of air cooling is that you NEVER have to worry about leaks. Anyway, I'm still playing with the ARGB colors. I'm being let down by how limited the AuraSync software is, though. You should be able to specify different effects to different areas, but, alas, you can't, unless the colors are all static (i.e. ; no effects). Cooler Master are working on finishing their MasterPlus ARGB controller software (should be out of beta at the end of March) and they also said they are working on updating the firmware of the CM700 case controller so it can be controlled via their software. That should be interesting. Likewise, I got their ARGB small controller for the fans (but am only using it as pass-through at the moment because the hard coded effects always cycle between ALL colors), and I have already seen that MasterPlus can also control it. However, for that you need a micro USB 2.0 cable which was NOT provided with the controller - and I've heard you also need a firmware update which at the moment is nowhere to be found. To make matters worse, I don't know if the small controller can handle all 5 case fans instead of the 3 it is currently connected to (i.e. ; the specs make no mention of max Amps). Umph! You've got problems Jorge! LOL! As for incomplete specs, like your missing max amps, isn't that the biggest PITA with almost anything you buy these days! Takes a mammoth effort to get full detailed specs for almost anything ever since online shopping started and stores are filled with morons who only know how to take your money. Wow! That's an awesome looking motherboard! As far as liquid cooling, don't they make it so it's highly improbable for it to leak? I would think that the hoses and fittings used would be leak-proof. At minimum, not leak until after 20 years of use. A leaking hose is ultra detrimental in PC land. It ain't like a leaking hose under the hood of a car! Yeah, the biggest problem with liquid cooling is the chance that it might leak... and no matter how small that chance is nowadays, if it DOES leak, it will most likely fry your motherboard and most of that expensive connected equipment. Even if the manufacturer of the AIO replaces all the damaged equipment (Deepcool have done this several times with their Captain series that was prone to leak) it still takes time and is a huge hassle. There is also that chance that the pump breaks - with air cooling a fan issue is no big deal as you still have that huge heatsink, plenty of case airflow and possibly a second fan to keep things going, not to mention that fans will normally give plenty of warning they are about to fail, while pumps simply give up the ghost. Fans are also cheap, quick and easy to replace - a non-functioning pump in an AIO means you have to replace the whole thing. Is there such a thing as a sheath to prevent the liquid from getting to the vital components from a leaking hose and/or fitting, and a box or some sort of protective hardware to prevent liquid from damaging components from a failed pump? If not, I might make one and get rich! 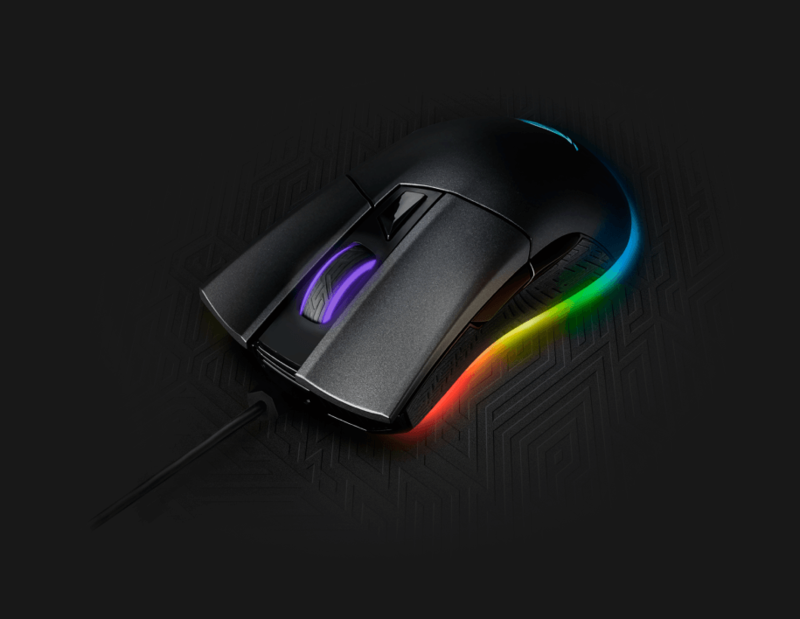 So, as I mentioned previously, the switches in the $100 and little more than 1 year old Razer Mamba TE Edition mouse were already double clicking when they should be single clicking. This has been the bane of many mice brands for years now: even REALLY expensive mice use low quality Chinese switches that degrade in a very short time. Manufactures do not really care because most people will just go out and buy a new identical mouse. At least here in Portugal Razer are out of luck, as warranty is a minimum of 2 years. As such, this very expensive Razer mouse is going back under warranty. Because I obviously need a mouse to work while I wait for the replacement to arrive, I did some digging around. 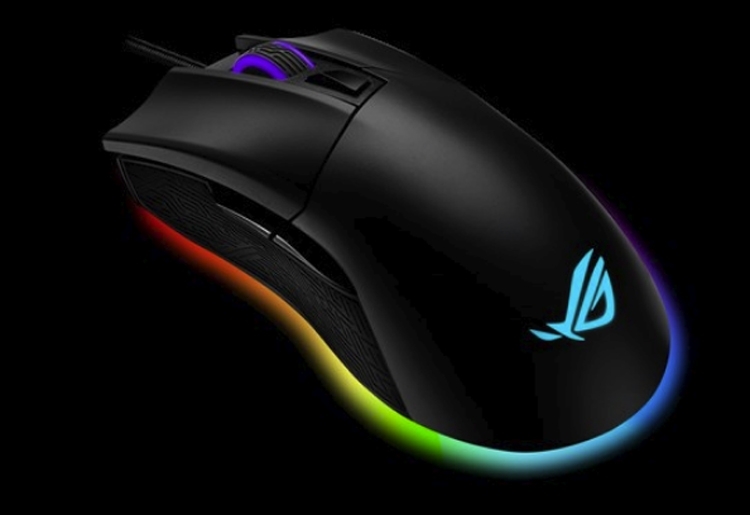 I found the ASUS ROG Gladius II Origin, which is actually pretty similar to the Razer Mamba in terms of shape and ARGB features. But what REALLY sold me on this mouse was the fact that it comes with an EXTRA pair of Japanese switches, and the mouse was deliberately built so the switches can be easily, well, switched out: open the mouse by removing four easily accessible screws, pull out one pair of switches, insert the other, done! ASUS idea here is that each of the two available switches (the ones in the mouse and the extra pair of switches provided) have different clicking characteristics, and you can thus use whichever you like best. This is not really important to me, what IS important is that this means not only that I already have a pair of replacement switches when/if the originals break, but I can also order a bunch of cheap Omnicron switches from Amazon when/if both pairs give up the ghost. In theory this is the mouse than can last me for a lifetime (or until something else breaks, lol)! In other news, I use two external 3TB WD drives to perform automatic backups of my system here, using Acronis True Image. One drive holds daily backups, the other weekly backups. Using a combination of full and differential backups with different rotation schemes for each drive, this allows me access to backups as recent as 1 day or as old as two months. Even if one of the external hard drives fails, I still have redundancy in the other (and a sort of 'time machine' in case I accidentally delete a file and only notice it weeks later). Prior to that, I was using two 2TB WD drives, but those had to be replaced with the 3TB versions when the storage requirements made them too small to hold all the required backups. I am now facing the same situation: the 3TB drives are no longer large enough for a hands free operation, all I need to do is install a 40 GB game or something and I start running out of space to store all the differential backups, which forces me to delete older backups (and thus lose a part of my 'time machine' ability). So I went out and instead of buying the next logical step (two 4TB WD drives) I brought two *6TB* WD drives. That should be enough storage space to last me for a very long time. Currently copying backup files from one pair of drives to the other pair. Another 3-4 hours to go until all the files transfer via USB 3.0. Finally, I engaged in a conversation with a Cooler Master (CM) representative on Reddit regarding my Cooler Master Small ARGB controller. The controller has a micro USB 2.0 port so you can connect it to the motherboard in order for firmware to be updated (and in theory for the controller to be controlled via software) but mine came without this cable. I tried looking it up on Amazon but all I could find was a mix and match of adapters and cables: very easy to order the wrong thing by mistake. Turns out that CM is just about to release the official 1.0 version of their MasterPlus RGB/ARGB controlling software, which also supports my controller. The representative said that once this happens the new small controllers will start shipping with the USB 2.0 cable included. So I asked him if, as the owner of a C700M case (to replace my old CM Cosmos II), five CM 140mm ARGB fans, one CM small ARGB controller and two CM ARGB splitter cables, CM could give me a break and allow me to buy the cable directly from them. Guess he took pity on me as he sent me one free of charge via UPS - getting it in a few hours. He also asked for pictures of my rig, so I directed him to this thread. He then naturally saw the Winstep software and what I did and showed interest on it, so I sent him a free license key as a token of appreciation. It would be nice to have a Winstep fan at Cooler Master European HQ. I don't backup my games. I just redownload them when needed. Saves backup space. It would be nice to have a Winstep fan at Cooler Master European HQ. Yeah, I suppose I could simply exclude my \Games folder from the backup, but this way is simpler, and storage space is no longer a problem. I'm really frustrated with this though. I got the cable but was still unable to make the controller work with MasterPlus. The controller is recognized by the software (although as having 4 ARGB channels when it only has one) but commands are ignored. I know it can work because I've seen the same controller being used with Masterplus on a Gear Seeker's Youtube video (got in touch with him on Discord and he confirmed it). I think this is a firmware problem, but currently there is no firmware update for this controller available in the Cooler Master website. To make matters worse I think the CM representative is on holidays, as his last intervention on reddit is two weeks old.